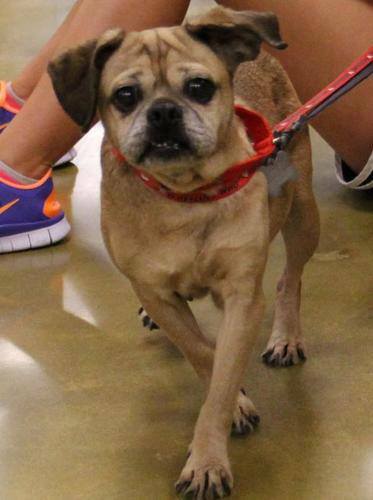 Recently, the rescue I work with, Mostly Mutts, lost a beautiful Puggle we got about a month ago who was heartworm positive. Pollie succumbed to the heartworm infestation. For the time she was with us, she was well-loved by her foster family and I take comfort in that her last days were filled with a family that adored her. Heartworm infections develop when pets become infected with parasites called Dirofilaria immitis that are transmitted through the bite of an infected mosquito. Dogs may be infected by a few or up to several hundred heartworms. More and more cats are similarly infected although usually by only a few worms. 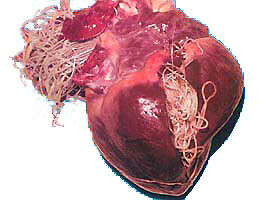 Heartworm infection often leads to severe lung disease, heart failure and can also damage other organs in the bodyl. According to the American Heartworm Society, Adult female heartworms living in an infected dog or other host release their young, called microfilaria, into the bloodstream. Mosquitoes become infected by the microfilaria while taking a blood meal from these infected animals. During the next 10 to 14 days, microfilaria mature to the infective larval stage within the mosquito. 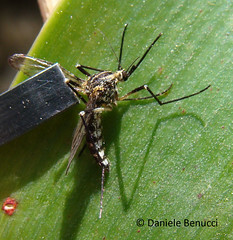 When the mosquito then bites another dog, cat or susceptible animal, the infective larvae exit the mosquito’s mouth parts and are deposited onto the surface of the animal’s skin. The infective larvae can then actively enter the new host through the fresh bite wound. Inside a new host, it takes a little more than six months for the infective larvae to mature into adult heartworms. Once mature, heartworms may live up to five to seven years, and because of their longevity, each mosquito season can lead to an increasing number of worms in our pets. In the southern part of the United States and other sub-tropical climates, heartworm infestation is more common so having your pets, even indoor only pets, on heartworm preventative is crucial! Pet owners should have their pets tested annually for heartworm as clinical signs of heartworm infection may not be easily visible. However, pets heavily infected with heartworms or those with chronic disease often show prominent clinical signs such as a mild persistent cough, reluctance to exercise, fatigue after moderate activity, decreased appetite and weight loss. As heartworm disease progresses, pets may develop heart failure commonly recognized by an accumulation of fluid in the abdomen giving the pet the appearance of a “swollen belly.” Dogs infected with large numbers of heartworms can develop a sudden blockage of blood flow within the heart leading to a life threatening form of cardiovascular collapse called “caval syndrome.” Signs of caval syndrome include a sudden onset of labored breathing, pale gums and dark bloody or “coffee-colored” urine. Without prompt surgical removal of the heartworm blockage, few pets survive. Since heartworms can take up to six months to mature, the recognized practice in treatment is a minimum of three months on a heartworm preventative to treat any prevent additional infectation prior to having the actual treatment to kill existing heartworms. The treatment needs to kill the adult and immature worms. Currently, only one product is approved by the FDA for this purpose (Immiticide®- melarsomine hydrochloride). It is given by deep injection into muscle. A series of injections are given, either over a 24-hour period or two treatment periods, one month apart. While treatment may be administered on an outpatient basis, hospitalization for the procedure is often recommended. Once the treatment has been given, it is very important that the animal not be active for six to eight weeks. This treatment is very painful for the pet since the injection is made into the muscle. When the dog is sent home, exercise should be limited to leash walking for the duration of the recovery period, which can last from one to two months. This decreases the risk of partial or complete blockage of blood flow through the lungs by dead worms. This entry was posted in Pet Health Issues, Uncategorized and tagged Animal, Dirofilaria immitis, Dog, Health, Heart failure, Larva, Pet, United States on September 13, 2013 by kaseyskritterkeepers.